trooop choux c’est trop mignon je vais tester un jour de le faire !!! 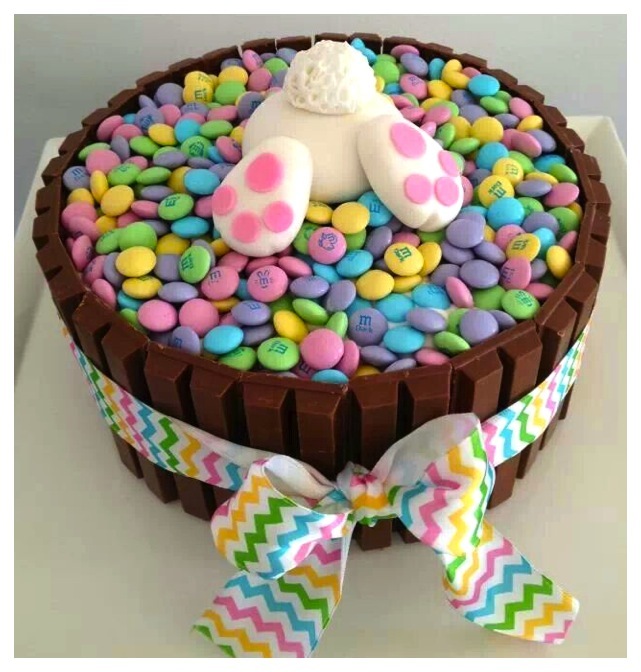 What kind of cake is under the smarties?? Where do find the recipe??? Love the Bunny buried head first in the M&M’s. What did you use for the Bunny? Where is recipe with instructions for making candy cake?? Is the rabbit made out of fondant or marzipan? Is there a 2 layer cake in the center then frost it and place kit Kate’s around edge.. Add m & m’s and make parts for rabbit out of ????? Then tie bow…. Please give more info and not just a picture. Thank you!